​Liverpool manager Jurgen Klopp has insisted that the Chelsea fans who were captured singing a racist chant towards Mohamed Salah should face a lifetime ban from attending games. Ahead of the Blues' Europa League clash with Slavia Prague on Thursday, a group of six fans were seen chanting a racist song about Salah,​ three of whom were subsequently denied entry to the game. 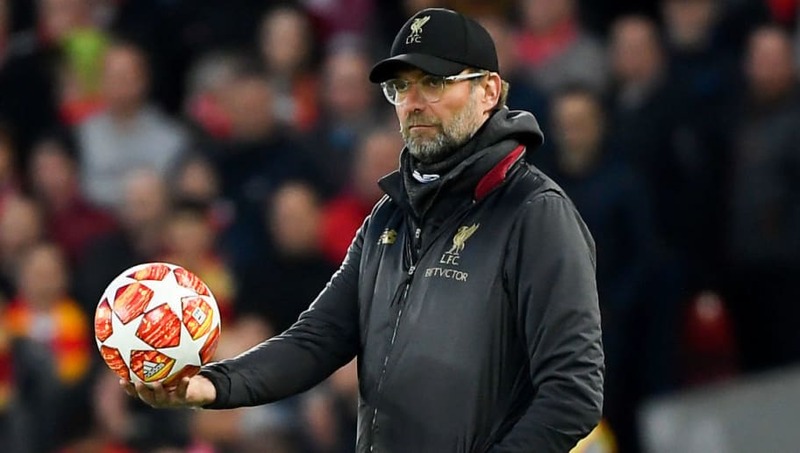 ​Speaking ahead of Sunday's ​Premier League meeting between the two sides, Klopp called on the authorities to issue strong punishments against those responsible. He said: “It’s disgusting. Another example of something which should not happen. We should not see it as a ​Chelsea or ​Liverpool thing. “As a part of the football community I can say these people should not be involved. Go in each dressing room in the world and they are all sitting there; no one cares where their parents are from. Chelsea caught wind of the incident impressively quickly, and were prepared to stop all six fans from entering the stadium in Prague. However, only three could be found, with the remaining trio assumed to have decided against going to the game. The Blues are investigating the incident in the hopes of identifying the unknown fans as soon as possible, in order to hit them with severe punishments. A club statement read: "Chelsea FC finds all forms of discriminatory behaviour abhorrent and where there is clear evidence of Chelsea season ticket holders or members involved in such behaviour, we will take the strongest possible action against them."